In both Orthodox Christianity and Catholicism, the words of Jesus, "This is My body" and "This is My blood" referring to communion bread and wine, respectively, are taken literally, and transubstantiation is believed to occur. I know that many Protestants do not believe this. For non-literalist Protestants, this is not surprising. However, there are many Protestants, of course, who regard the Bible as the literal word of God. One might think that all of the literalist Protestants accept transubstantiation. But I think that is not true. Do all literalist Protestants accept transubstantiation? Do most of them? Do any of them? For the ones who don't, how do they explain what appears to be the plain words of Jesus on this? To understand this answer, we will look at just two aspects. One, Christ speaks literally about many things many times, yet no one believes He turned into a literal door or into a nebulous ghost of a concept like truth. Two, Protestants disagree with transubstantiation not because they don't believe the bible, but because they believe that Christ's sacrifice was done once for all time. When Christ said, I am the way, life, truth, what did those three things look like? What ghost can one conjour to represent truth? Rather, they looked stedfastly at Christ who was clearly standing there in front of them. When Jesus said, I am the door or you are a sheep, do you take this literally? Is He wood, rock, blanket, or what as that literal door? So likewise when Jesus said this, did He disappear and become a loaf of bread? So, it is clear enough that Christ speaks specifically at all times, but that is not to say literally at all times. With lovely irony, when the bible does literally say Christ sat down as an offering priest because of His own one sacrifice, Protestants believe this, while Roman Catholics do not. There is no priest presuming to be Christ on earth who offers the "same" sacrifice that Christ did some 2,000 years ago. Though time wouldn't permit, it is interesting enough to view this contrast between the two views of a literal piece of bread and a literal ongoing sacrifice done daily versus a metaphor and one sacrifice of Christ's body done once for all time. So for Protestants, the plain words of Christ about this is My body and what it represents are clear enough. Notice that there is an analogous statement there. It is absurd to suggest that Christ eats the Father; thus, you would not expect the believer's literal, physical eating of Christ to take part in any sort of spiritual life. If what Christ is saying is "spirit," and "the flesh profiteth nothing," in immediate response to the statement of Christ's disciples in John 6:60, then eating Christ's actual flesh and blood is not profitable without the salvation of the soul by the Holy Ghost. Clearly, no one has bellies actually flowing out rivers of any water; this is figurative. But the format is very similar to the statement following the oft-cited transubstantiation text of John 6. This reading does not undermine the general rule of literal interpretation, as John is also a historical narrative of the gospel. There are clear marks of comparisons in both of these passages; one in the form of a simile, and one in the form of a parenthetical statement. Christ will be 'formed' in the Galatian readers of the epistle if they hearken to the doctrine contained in the epistle. Nowhere in the epistle does Paul speak of the memorial of bread and wine - he speaks to their faith and he speaks of the doctrine of the gospel. The memorial is an outward recognition of what is (already) done spiritually and inwardly. Faith - not ritual works - is that whereby Christ is formed within me. This is my personal experience. Ritualism did me no good. Works brought down a curse. But by the 'hearing of faith', Galatians 3:2, and by that alone, 'Christ is formed within'. This is my Protestantism and this is my Orthodoxy - the gospel of God concerning his Son Jesus Christ, which gospel was delivered in about 140,000 Greek words in 27 volumes by nine writers, inspired by the Holy Spirit and authorised personally by Jesus Christ, himself, from the throne of his Father. anagogical - an invisible action is revealed by a visible action. For example, Jesus tells a man that his sins are forgiven, then heals the man to show that he has the authority to do so. You cannot "see" forgiveness, but you can see healing. Many literalist Protestants today use the grammatical/historical method. The literary type of the passage is a key to how to interpret it. Prophecies - in almost all prophecies, the details will be figurative. For example the seven fat and seven sickly cows in Pharaoh's dream. Figurative and literal language may be mixed together, as in Revelation where a lampstand is presented, then interpreted as churches and angels, or a beast is described, then associated with a tyrannical kingdom. Parables - the characters and actions have a moral meaning, but also sometimes a prophetic meaning as well. Psalms - are poetic, but some contain prophecies. Hyperboles, metaphors and similes abound, as well as many anthropomorphisms of God. Thus when you turn to the statements where Jesus says that you must eat his body and drink his blood, you need to decide which of the many literary types is being used. Prophets like Ezekiel (see Ezekiel 4, for example) performed symbolic actions that had prophetic signifigance. The entire Jewish sacrificial system is symbolic and has elements that point to Jesus, so they are all metaphors or anagogs themselves. Jesus at the Last Supper was formally identifying what was about to happen to him with the Jewish sacrificial system and regulations concerining Passover. The symbolic actions (Jewish ceremony and sacrifice) point to the true sacrifice (Jesus on the Cross). Passover was always a symbolic action (blood on doorposts symbolizing the blood of Christ), so the eating of bread and drinking of wine which was symbolic remains symbolic, but the symbol is now being clarified as pointing to Jesus. The difference is not a mystical transformation of bread into body or wine into blood, it is a change in the interpretation of the symbols. "Do this in remembrance of me." We remember what happened in the past when Jesus died on the Cross. It is a celebration, not a continuation of a sacrifice, a repeat of it, or an extension of it. Not the answer you're looking for? 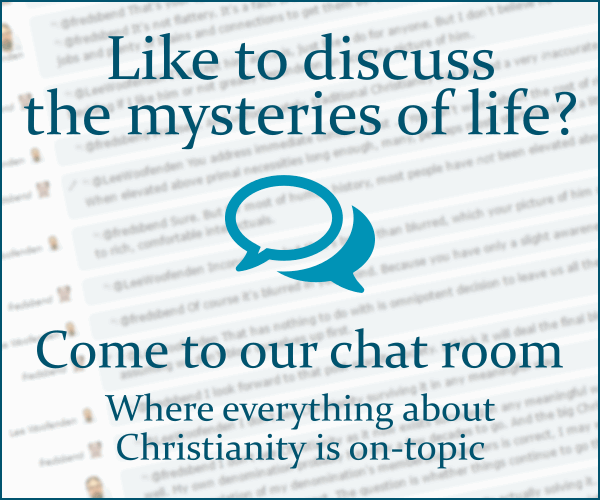 Browse other questions tagged protestantism communion words-of-jesus transubstantiation or ask your own question.